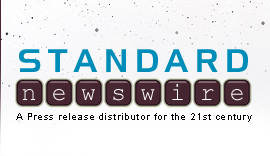 WASHINGTON, Sept. 12, 2018 /Standard Newswire/ -- Brigitte Gabriel's most groundbreaking work yet opens readers' eyes to imminent threats to America and reveals plots to destroy freedom, national security and Americans' very way of life. In "RISE: In Defense of Judeo-Christian Values and Freedom," released yesterday, Sept. 11, Gabriel arms readers with real data and compelling facts that will equip and motivate them to unite with other patriots who wish to preserve America's endangered Judeo-Christian values and freedom, and it all begins with awareness and understanding of what's at stake. "'RISE' serves as an initial warning call, by painting a picture of the transformation from the 'Paris of the Middle East' to a hotbed for radical Islamists we see today," Gabriel says. "It is from this perspective I bring a warning to the U.S. and western nations. Their future is my past, unless they wake up and change course." In "RISE," Gabriel tells her personal story, when at 10 years old, militant radical Islamists launched rockets into her family's home in their Christian town in southern Lebanon, destroying her home and seriously injuring her as they raged war against the "infidels." Her family was forced to seek refuge in an underground 8-foot-by-10-foot bomb shelter, where they lived for the next seven years. Often surviving on mere weeds, they had to crawl through a ditch to get water from a nearby spring while avoiding Islamic snipers. After several perilous years, Gabriel moved to Israel before subsequently becoming a proud citizen of the greatest nation on earth: the United States of America. Today, she is one of the leading terrorism experts in the world, providing information and analysis on the rise of global Islamic terrorism. She lectures nationally and internationally about terrorism and current affairs. Gabriel started her organization, ACT for America—now with a million members—to protect the citizens of the United States from the horrors she experienced as a girl. In addition to serving as the founder and chairman of ACT for America, Gabriel is a celebrated author of two New York Times best-sellers, "Because They Hate: A Survivor of Islamic Terror Warns America" (2006) and "They Must Be Stopped: Why We Must Defeat Radical Islam and How We Can Do It" (2010). 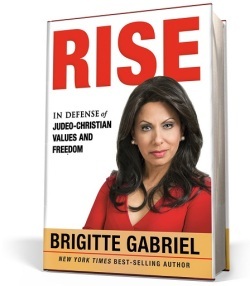 "RISE" by Brigitte Gabriel is published by Frontline, an imprint of Charisma House. For more information visit www.risetoact.com/.